I've asked Cled to prepare one but haven't seen it yet. There seems to be a lot of ideas being generated on the Forum, which is a good thing. But it seems to be going off in a whole lot of different directions and any ideas that we can actually put into place might get lost. Maybe we need to step back at this point and maybe do some basic planning that lays out what Speedweek is now and what do we want it to be in the future? I think that re visiting what type of event we actually want Speedweek to be, needs to be a major priority at the next General Meeting. Happy to help out in this area. Any News from the Meeting on Sunday? When will the minutes from the "DLRA General Meeting 19 May 2013-05-21" be posted?? or have I missed them. Check out the link in the Offline members area. The last Minutes I can find on the Forum were in the April Newsletter from the Meetings at Speedweek. Nothing is on the Facebook page. Greg is away so there has been a delay in posting the minutes. This is a copy Carol sent me. APOLOGIES: Mark Dunn, Peter Noy, Tony Cooke, Max Ellery, Simon Muntz, Eric Norton, Robert Cranfield, Graham Hadley, Greg Watters, Ray Charlton, Deb Dawson, Kevin Saville, Norm Hardinge, Tom Carroll, Michael Brixton, Wayne and Adam Pickles, Paul Lynch, Tom Banks, Trevor Beck. Moved by Denis Campbell and seconded by Andy Jenkins that the apologies be accepted. Moved by Norm Bradshaw and seconded by Rod Hadfield that the minutes be accepted as published. •	Email from Gary Satara apologising for the damage he cause to the timing system. •	Email from Paul Powditch requesting consideration from the DLRA to let his 12 year old son run at Speed Week. •	Email from Peter Noy re apology for General Meeting and Tom Noack will attend as S.A. rep.
•	Email from Michael Freak suggesting our 2014 Speed Week dates are fine. •	Email from Graham Hadley with his apology and requests his proxy vote go to Bob Ellis. •	Flyer from SATA advertising their proposed “Salt Attack 2013” to be held at Lake Gairdner on October 12th and 13th 2013. •	Email to Michael Freak, Senior Ranger, Gawler Ranges National Park DEWNR to request that we hold Speedweek from Monday 3rd March through to Friday 7th March, with access to the lake from Thursday 27th February to set up. I noted that we had considered and noted the moon cycles and told that we would be considering limiting the heavy vehicles coming and going from the lake each day, also made mention that we are looking into the toilet problem at the Bush Camp. Moved by Greg Butler and seconded by Kim Krebs that the correspondence be accepted. •	$20,000.00 has been invested into a 6 month term deposit at 4.10% maturing on 19th October 2013. It was moved by Carol Hadfield and seconded by Norm Bradshaw that the financial report was accepted as read. •	Dates set for 2014 Speedweek be from Friday 28th February to Friday 7th March, reason being to get more people to attend early to set up, be scrutineered etc. Racing still won’t be able to start until Monday. The AGM is to be held under the shade of the Bradshaw/Pickles pits on Lake Gairdner at 6pm on Sunday the 2nd March. Third Sunday in May (19th), October(20th) and January (19th). •	Trevor Slaughters Attempt at Lake Gairdner – As we haven’t had any official request from Trevor and we have been unable to contact him regarding the hiring of the timing equipment or track layout for his proposed attempt in August nothing further has been organised. •	There was motion moved at the Annual General Meeting stating that “all vehicles must be towed and the rule must be enforced” As this is not mentioned in the rule book it is not accepted as a motion and it would have to be proposed as a rule change in writing, which would have to be considered and passed by the Committee. •	Trevor Clare enquired as to whether Timing Slips were going to be produced from our timing equipment, Gary Satara was concerned as to who is taking care of the software changes required to do this, after lengthy discussion Colin Clare moved a motion to express confidence in Gary Satara’s ability to assist in the modifications to the timing equipment programming to be able to do this and Gary is to co-opt the necessary people to carry this out. Seconded by Norm Bradshaw. The Secretary is to contact Greg Wapling to request a copy of the database for timing changes to be sent to Gary Satara. •	Cled spoke about a firm in Melbourne called RACESOLUTIONS Motorsport which is a professional group of volunteers committed to delivering a quality service in the provision of Medical, Safety, Trackside and Incident Response Services, he spoke about his contact with them to find out what they can offer in the way of help with the running of Speedweek. We are expecting brochures from them and Greg Wapling has offered to visit them to get more information from them. 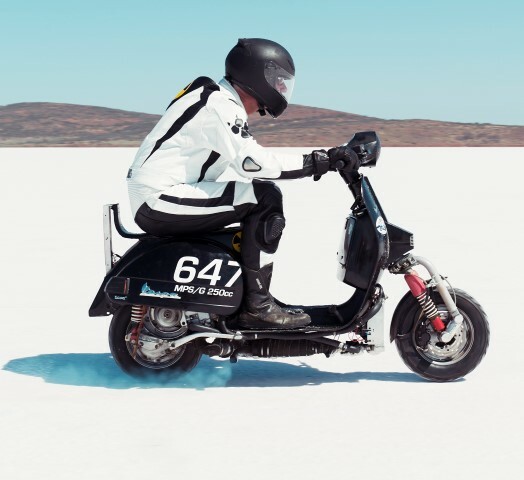 •	Kim Krebs has been speaking with Delvene Manning from the USA who is the Race Coordinator at BUB motorcycle event at Bonneville, Delvene has offered to send us her procedure manual to have as information. •	Tom Noack the South Australian representative read some of the report from the recently held South Australian State meeting, he also read out an email sent to the club from member Shane Gaghan, there was some discussion held and it was determined that many of the issues are being addressed by the Committee. Steve Charlton spoke on some of the South Australian Issues. •	John Lynch asked what could be done to alleviate racers having to wait all day in line to run, there was quite a bit of discussion on this, Chris Hanlon suggested a more efficient system could be achievable with better radio communications and an FM radio system, a few members put up suggestions an were told to put any suggestions in writing to the Committee. Norm Bradshaw suggested a number system. •	Denis Campbell moved a motion that all Committee meeting minutes be published. Seconded Colin Clare. •	Denis Campbell spoke on some of the points from the recently held Queensland meeting, he had sample of better exit signs and chequered flags for exit roads, it was agreed that these were a great idea and Denis has agreed to organise these for the track along with good quality storage boxes all labelled to look after them. He spoke on his involvement with the Timing during Speedweek and had some suggestions for improvements to the running of the event such as penalising those riders/drivers who are supposed to be running on the short course but ended up doing the long course which wasted a lot of the time. He suggested the club needs to have more duty of care to entrants by supplying more shade at the start lines and at scrutineering, he also suggested that we advise the entrants of the severe conditions with information printed on a form to be sent out as an acknowledgement of their entry. Denis also added that the Queensland members propose to put forward a motion at the next AGM to increase the annual fee to $100.00. •	Gary Satara read from the report of the New South Wales State Meeting held recently, much of it was similar to those already read out by Queensland and South Australia, he suggested if any member has concerns they take it to their State Delegate in writing who in turn can discuss it with the Committee. •	Denis Campbell asked the question of why fire vehicles follow each vehicle down the track, Steve Charlton gave an explanation. •	Chris Hanlon told the meeting of a member (Steve Main) who has a 100KVA generator for sale if the club is interested. Cled asked for more information as we would be interested in purchasing it. •	Cled reported that he has been in touch with a company called “Rota-Loo to see if they had suitable chemical toilets for the lakeside camp that would be within our price range. •	Cled also reported that he had been contacted and interviewed by the ABC regarding the damage done to the lakes surface after Andrew Starkey of the Kokotha Native Title Group stated that he wanted DLRA to repair the salt surface. It was discussed and decided not to act on it as we had already been contacted by Michael Freak, Senior Ranger of Gawler Ranges National Parks stating he was happy with the way the lake was left and returned our bond cheque of $3,000.00. •	Colin Clare spoke on a Company called “trybooking” as a method of having ticketing done online prior to Speedweek. Colin is prepared to be involved with investigating this along with Gary Satara, Peter Quick, Stephen Bridge, Paul Lynch and Greg Wapling. •	Gary Satara has also offered to assist the Treasurer, it was moved by Colin Clare and seconded by Steve Charlton that Carol send Gary a copy of the MYOB program she is using and the current data updates. •	Cled told the meeting that the Committee has asked Trevor Beck to investigate an improved communications system and to source a Company that can help with this, it was suggested that we look into hiring equipment rather than purchasing it. •	Carol showed the meeting the newly printed Log Books with three advertisers sponsoring with full page advertising on the covers, the meeting applauded Performance Metals, Aussie Desert Cooler and Motorsport Connections for their generosity. 34SaltNorm wrote: •	There was motion moved at the Annual General Meeting stating that “all vehicles must be towed and the rule must be enforced” As this is not mentioned in the rule book it is not accepted as a motion and it would have to be proposed as a rule change in writing, which would have to be considered and passed by the Committee. Sorry I couldn't make the meeting - one question, what was the context of this? Is it to ensure that every racer has their recovery vehicle with them OR is it an insurance thing about vehicles driving about when they are not racing OR something else? If it is about making sure that there is a recovery vehicle at the start line, then I have another suggestion (for which I can submit a rule change) which would meet (even exceed) this criteria without penalising small teams. [quote="34SaltNorm"]Greg is away so there has been a delay in posting the minutes. This is a copy Carol sent me. Thanks for posting this info Norm. would it be possible for one of the Committee Members to simply let the Members know that there will be delay asap after the Meeting?